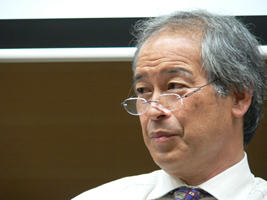 Stefan Tanaka is a historian who has worked on modern Japan. His earlier work focused on the ways that history, pasts, and time were configured to define Japan's world and itself. Recently that inquiry has shifted to history as a technology of communication. This shift to history as media opens an inquiry into different ways that historical knowledge, categories, and practices are both tied to particular literary systems and might change in the digital age. Stefan Tanaka is a Professor of Communication and a Director of Center for the Humanities at University of California, San Diego.